Bittersweet is probably the best way to express my feelings on the following news: I will be leaving The Blood-Horse on May 22, just after my coverage of the Preakness. As LeBron would say, I’m taking my talents down to South Florida to begin a new business and a new chapter in my life. After 11 years of sports writing—six at a Philadelphia area newspaper and five at The Blood-Horse, I have decided to move on. This plan has been in the works for more than a year, but has just recently come to fruition, and so I am on one hand very excited about beginning what will hopefully be a lucrative and rewarding new business, but also a bit sad to be leaving a career that has been a passion for me for more than a decade. I have worn many hats at Blood-Horse—racing writer, news and features contributor for the magazine, creator and co-host of the video That Handicapping Show with Tom LaMarra, helped manage bloodhorse.com, covered the Triple Crown and Breeders’ Cup—as well as many other duties. 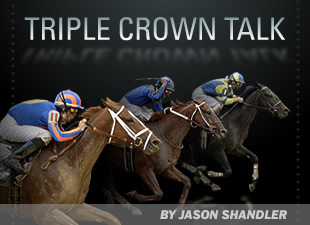 But hosting the Triple Crown Talk and Breeders’ Cup Chat blogs have been among my favorite parts of the job, no doubt. Though I’ve only met a few of you in person, I feel like I’ve really gotten to know many of the loyal bloggers on here, and want to thank you for making this the most popular blog in the industry. In the less than five years that the blog has been running, there have been more than 3 million pageviews and 75,000 comments. I appreciate all of your contributions and the banter that we had over the years. As you know, I was never afraid to give my opinions on here; I told it like I saw it and I don’t apologize for that, and I think that is what helped make the blog so successful. The formula was simple: Passionate opinions, good back-and forth comments from bloggers, and a lot of fun along the way. The Rachel/Zenyatta chapters were probably the highlights (and sometimes the lowlights), I think most would agree. I hope I’ve also been a good source of information for many of you and that the blog has been a nice outlet for those who wished to express their feelings freely. A small percentage of you are probably saying “good riddance” right now, and that’s OK. I never wanted or needed to be liked by everyone; that’s not what this blog was all about. For the majority of the others who have been loyal readers and enjoyed this blog and my coverage of racing and industry news, I thank you and wish you nothing but the best in the future. I’ve truly enjoyed it. also very much enjoyed meeting the many owners and trainers in the industry, and appreciate their willingness to share information in a forthcoming manner so that I could in return pass it on to the readers. This industry is filled with good, hard-working people whose livelihoods come from this great sport. There are too many people to mention, but I wish everyone who I’ve had a relationship with—no matter how large or small—the best of luck. This sport could use some major reform, and I won’t use this forum as an outlet for my opinions on how things can improve. Suffice it to say that banning Lasix is not the answer and having an improved marketing plan is the most important component to future success. A governing body that holds real decision-making power is easier said than done, but the sport needs it. Either way, I’m hopeful that horse racing can improve over the next few years and I’m sure the sport will always play a part in our society, even if it is unlikely to ever return to the glory days. Finally, I’d like to thank my colleagues at The Blood-Horse. It’s been great working with such a knowledgeable and talented group, and I’m sure you’ll continue to make the website and magazine the No. 1 source for racing, breeding, sales, and news in the industry. It’s been enjoyable playing a part in putting a large gap between us and our (bi-) weekly competitor. I look forward to running into many of you in Baltimore and saying goodbye. I’ll have one final Preakness blog later this week.